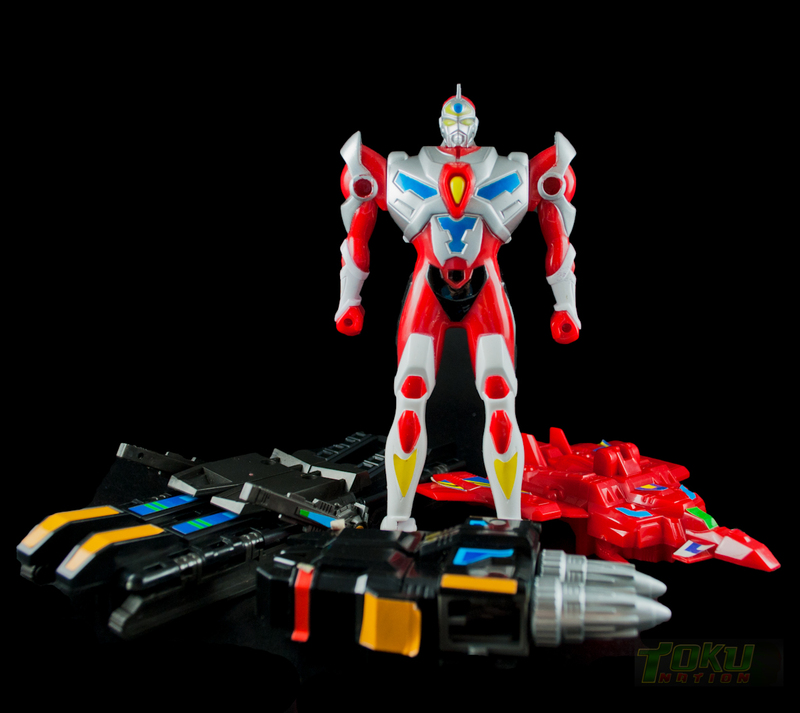 Our resident lover of 90’s tokusatsu far and wide conundrum is with us once again to share yet another gallery from Superhuman Samurai Syber Squad! Adapted from the Tsuburaya series Denkou Chojin Gridman this show had the honor of having some of the best DX transforming sets around. 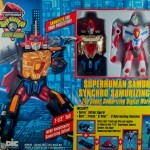 However there were also some smaller more affordable Samurizing sets released here in the US that while not as complex as their DX brothers, definitely get the job done. At the lower price point and looking as good as they do these sets are great alternatives even now to the more expensive DX’s. 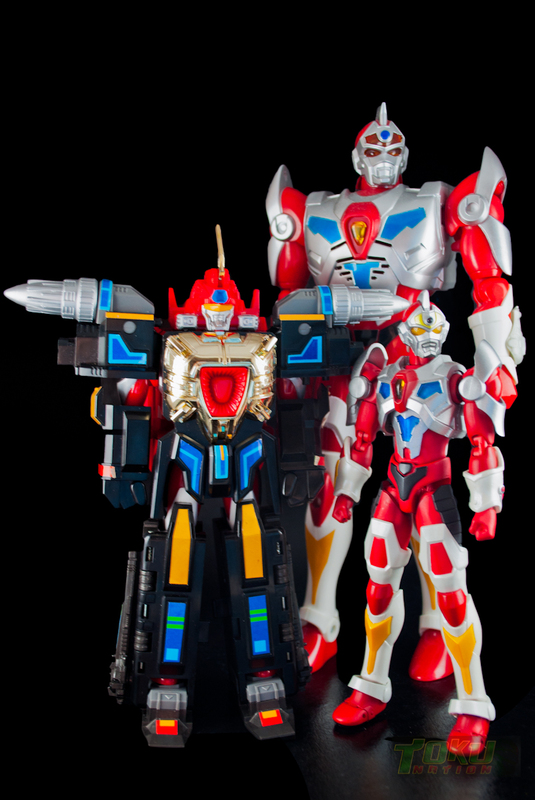 The Synchro Samurizing Set contains Servo and the 3 vehicles Borr, Tracto, and Vitor that allow him to become Synchro. You’ll see it scales especially well with Gridman Ultra-Acts if you’re on a budget. 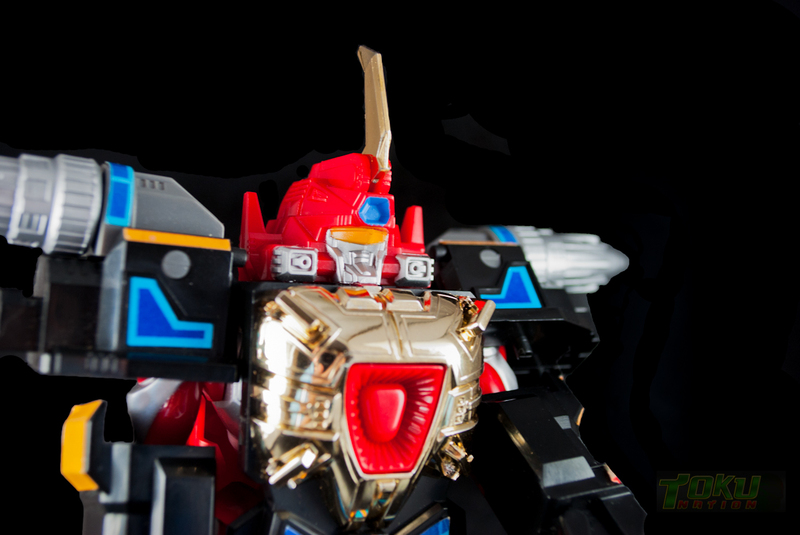 Seet the full gallery of this figure by clicking this link or by clicking the “Discuss on the Tokunation Forums” link at the bottom of this post! We're firing up the Toku Time Machine to bring you a gallery of Playmates' Synchro 'Samurizing' Set from their 1994 Superhuman Samurai Syber Squad toyline. 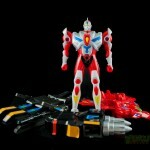 This figure is a Samurized version of Takara's Combination Action Thunder Gridman set from Denkou Choujin Gridman. For the uninitated, SSSS was an adaptation of Tsuburaya's Gridman series that ran for one season from 1994 to 1995, with a total of 53 episodes. SSSS followed the exploits of teenager Sam Collins and his friends/bandmates as they deal with problems in both the real and digital worlds. Sam is bonded with a computer program named Servo and as him fights megavirus monsters created by the evil Overload Overlord, Kilokhan. 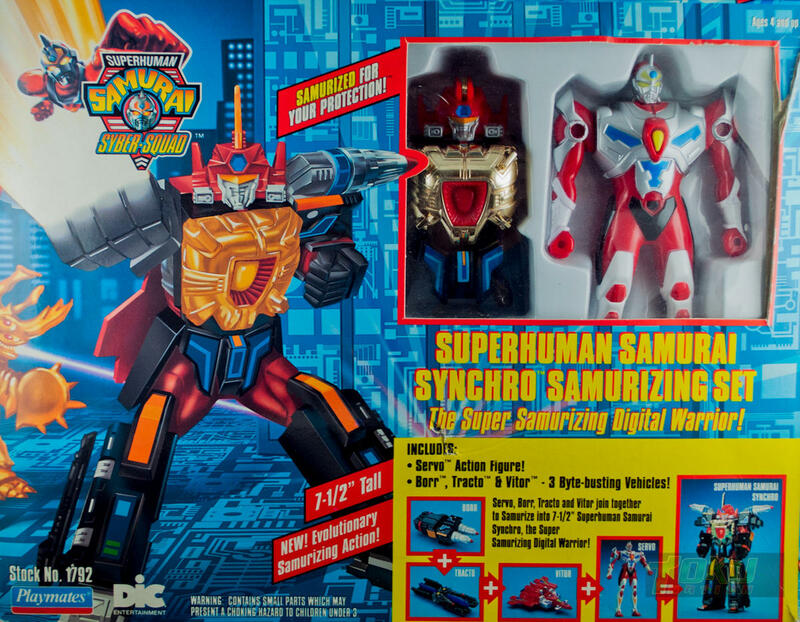 This 'Samurizing' set includes the hero, Servo and the three vehicles, Borr, Tracto, and Vitor that allow him to transform into the mighty Synchro. Due to limitations from the small size, the three vehicles can only 'parts-form' into armor for Servo and not into the Zenon robo. The figures in this set are much smaller than their DX counterparts, lacking a good deal of articulation and paint applications. It should be noted that there are several different versions of this set out there, so if you purchase one, make sure it the chrome and additional paint applications. 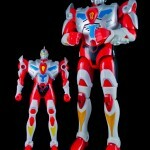 As Synchro, the figure stands at 7.5 inches tall and only has 2 points of articulation. As the armor parts are held on by clips or friction, they do have the tendency to fall off if the figure is jostled. Overall, this is not a bad set and can still be had at a reasonable price (usually under $30 on Ebay). Despite the lack of articulation, it makes a good, inexpensive stand in for Thunder Gridman and looks great on a shelf next to the Ultra-Act Gridman (Servo). Enjoy the gallery, it's been samurized for your protection. 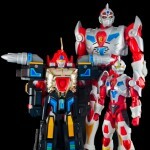 I don't think I've ever seen shots of the Samurizing Set next to something else before, just the DX versions. 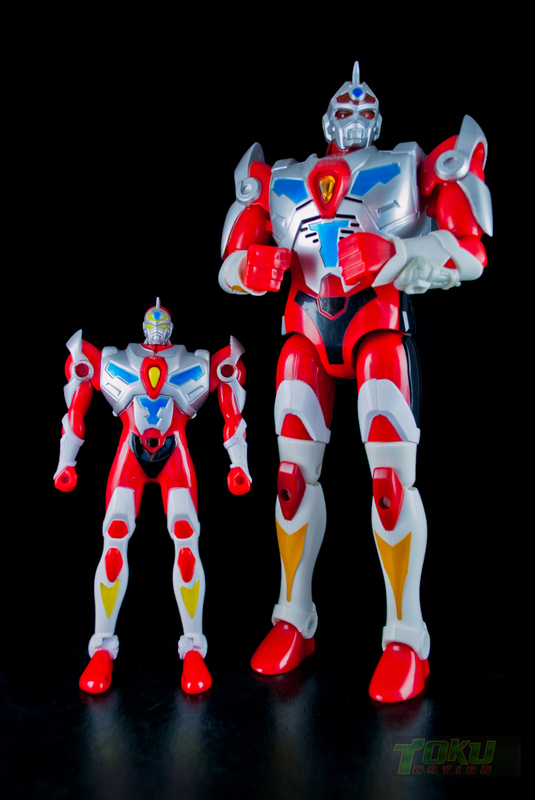 Most people don't seem to talk about this version but it looks cool for what it is AND that is a nice scale next to Ultra-Act! I'm impressed. I actually had BOTH sets, Synchro AND Phormo! I prefer the deluxe versions more 'cause not only do I count them as Megazords, they can display better with the deluxe Megazords/Mecha. MAN this takes me back! Use to love this thing. I wish I still had my set, but its been gone for a long time now. Super human samurai has been released on VHS and aired 90's on Korea. Song was so catchy (melody is same as original) and every kid loved servo that time. Found this in my toy box recently. Good to know what it was called! I had these before. They're actually somewhat fragile; the plastic quality seemed pretty weak to me. Oh man, I had these figures and sold them off years ago. I totally regret doing that now. 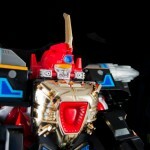 The Phormo set looks more impressive (having both jet and dragon modes as well as combing with Servo).